This isn't the best image. These leaves are fresh from our glasshouse as of a couple of hours ago, and then scanned as opposed to photographed for this blog. Naturally you wonder what plants have these leaves. 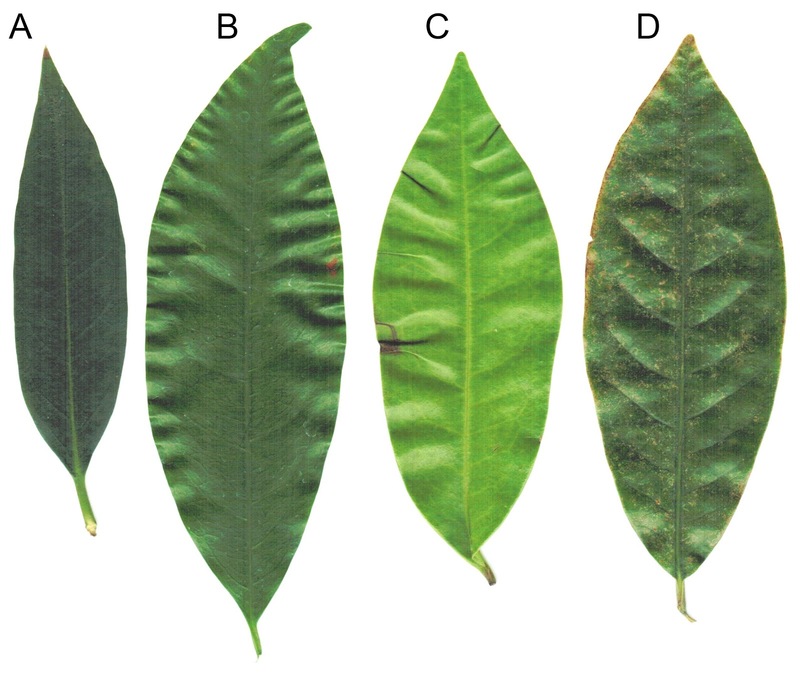 Now here's the challenge, one of these leaves is different from the other three in a very significant way. One of these leaves comes from a basal lineage of flowering plants - star anise. Two of them are from magnolialean families - nutmeg and eupomatia. The other leaf is from a gymnosperm - Gnetum. Isn't that something? Did you ever figure it would be this tough to pick out a gymnosperm from a group of angiosperms? Look how similar they all are in terms of shape; same apex, same base. They all have short "stumpy" (not a technical term) petioles. TPP will deliver an answer after we see if anybody out there is very perceptive. BTW all four plants are dicots, but none of them are part of the "true dicot" clade of flowering plants. How crazy is that?